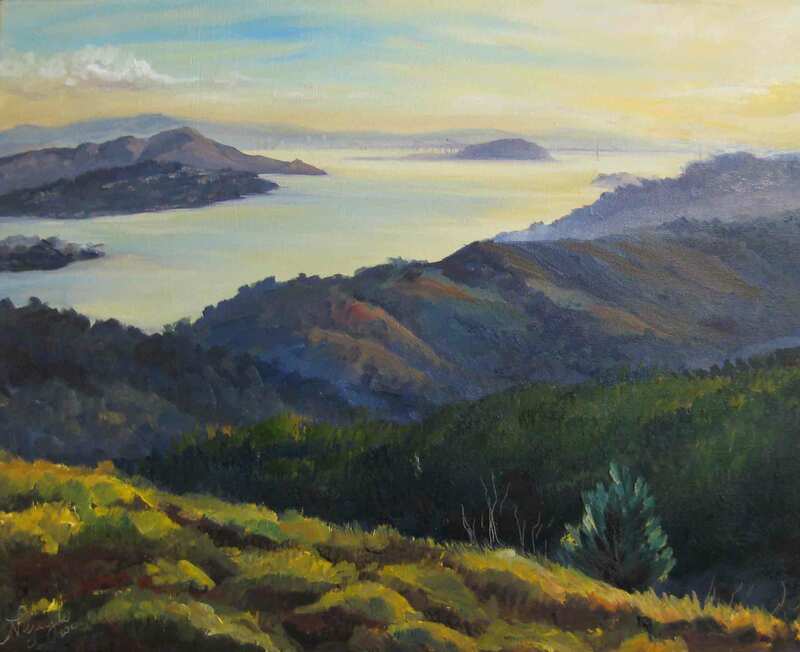 Call 415.972.9637 or email natasfineart@gmail.com to schedule a free phone consultation to discuss your event preferences or a personalized gift card for you best friend or family member. Rates generally start from $3000 – $10,00 depending on painting size, amount of detail, season, and location. 18×24” Standard Painting – a standard size canvas that is easy to hang, frame and transport! This size will fit just about anywhere, from a small urban apartment to your luggage. Also most frame shops also carry frames that fit 16×20” artwork which means you can save time and money on custom framing! If you don’t have large walls of if you plan to move soon, this size may be a great option! 24×36” Medium Painting– a medium canvas that can make a great centerpiece in your home! This size can make a significant presence at your wedding and in your home! It is large enough to paint in significant details, additional portraits, or facial expressions of you most loved family members and guests. This size is great for capturing a medium – large wedding celebration, your venue’s unique details, your family, frineds, and loved one and make a true impression during your wedding and years after in your new home. 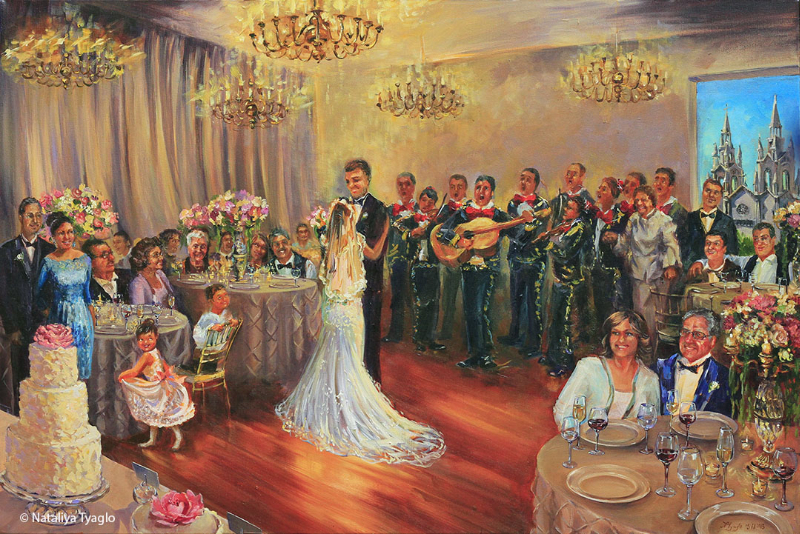 Nataliya can add additional portraits of your family and friends to your painting wether or not they were present or visible at the wedding. Also, if you have symbolic decor or details that you would like to be painted into your piece, the artists can incorporate these from your photos in her studio. * Please note that all Live Painting Performance reservations require a 33% non-refundable deposit of the total estimated cost which will be counted towards your total billing amount. For other national and international events, yes I travel! Travel fees depend on the event location and time of the year. These can be discussed during the initial phone consultation. Stuff happens, life changes. To reschedule or cancel a Wedding Live Painting reservation, advance notice pays off. For local events, cancellations made a week prior to the event date will receive a full refund (except for the non-refundable deposit). If less than a one week notice is given, a 50% refund will be given. Cancellations made within 24 hrs prior to the scheduled event, will be charged in full. For all other national and international events cancellations made 4 weeks prior to the event date will receive a full refund (except for the non-refundable deposit). If less than a 4 weeks notice is given, a 50% refund will be given. Cancellation made within 48 hrs prior to the scheduled event, will be charged in full. What is Live Painting? What is the history behind it? Live Painting is an improvisational performance in which a visual artist, over a short period of time, creates a painting to in front of an audience. Unlike a traditional setting in which a painter works privately in an enclosed studio over an extended period of time and shares his or her work only after it is completed in a gallery or another exhibition setting, Live Painting allows the audience to watch the creative process unfold from beginning to completion within a short period of time in a public setting. One of the first well known recorded Live Painting events was done during the 1976 Summer Olympics by LeRoy Neiman. In 1990’s Live Painting began to evolve from the street and graffiti art scene. Today, Live Painting is a growing movement among visual artists around the world. With each artist bringing his own style each performance is unique, amusing and revolutionizing. Why choose Nataliya Tyaglo to live paint at your event? Nataliya Tyaglo is a professional Live Painter with a great eye for capturing people’s character and the atmoshpher of a place. 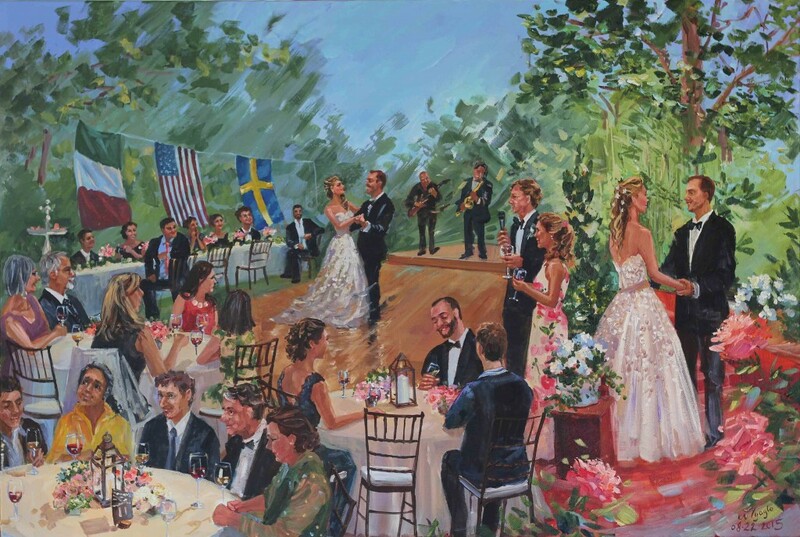 With experience drawing speed portraits, performing live painting at entertainment venues, and many years of painting outdoors, she paints quickly, adapts easily to the energy of the event, and captivates her audience by capturing unique moments in a colorful and dynamic composition depicting your event. She is also easy to work with and can listen to you in various languages (including English, Russian, Ukrianian, or Spanish). Her goal is to create top quality artwork and she will listen to all of your preferences to create a work of art that you will be proud of and will treasure for many years. If you want something different, unique and valuable to capture the energy at your event, Nataliya Tyaglo is the artist to contact. Not much! 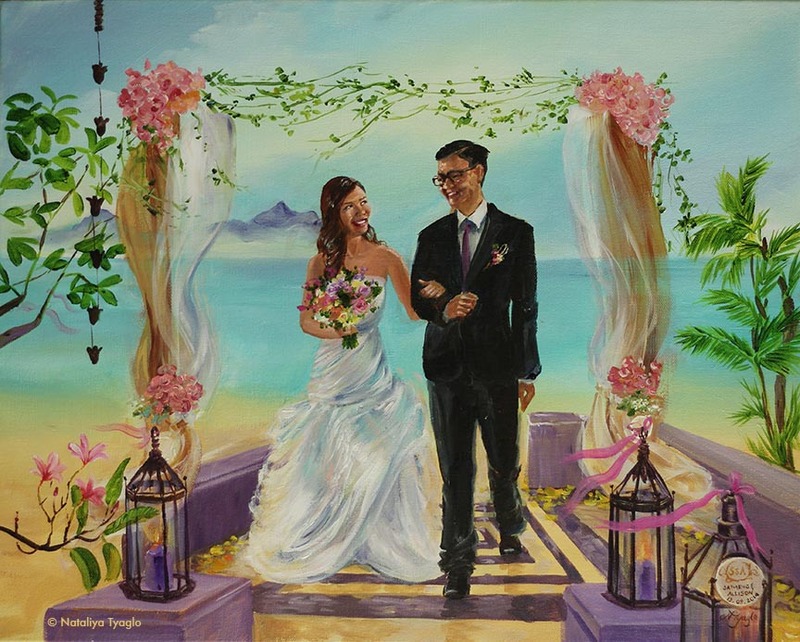 Just connect her with your wedding planner, tell the artist any preferences you may have during your consultation, and allow the artist an area of about 6′ x 6′ at your wedding from where she can stand with her easel and create your painting. If the wedding is held indoors, the artist will need an electrical outlet nearby for a light on her easel. Nataliya Tyaglo brings all live painting related materials including an easel, canvas, paint, brushes, palette, drop cloth, clip-on light, and a small table for her art materials. Does the paint smell, will there be any paint spills after the event? No. Nataliya Tyaglo uses high quality acrylic fine art paint which are water-soluble and do not emit any odors. Her painting space is covered with drop cloths and plastic to prevent any paint from the surrounding areas. How is acrylic different from oil paints? Unlike oil paints, acrylic dries a lot faster and does not emit odors. Both are mediums are permanent and expected to last for hundreds of years. No, Nataliya Tyaglo is accustomed to painting in public spaces and welcomes questions about her art and creative process during the event. The earlier the better, especially your wedding is on a Saturday. Most people book a few months before the wedding day. However if your wedding is only a few days away, give a call anyways. 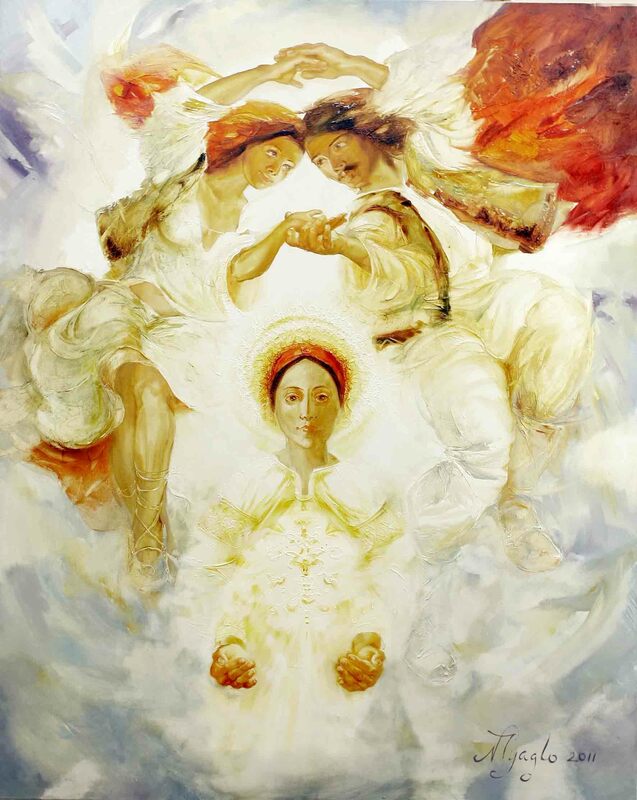 Nataliya Tyaglo may be available, and if she is not, she’ll connect with a great artist who is. 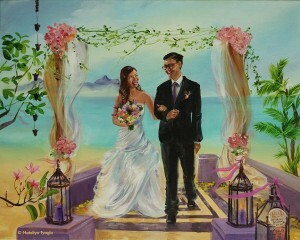 How can I book a Live Wedding Painting as a gift? A personalized gift card can be mailed or emailed to you friend or family member. Call or email to schedule a free consultation to create a gift card that can be mailed or email to you or directly to your receiver. 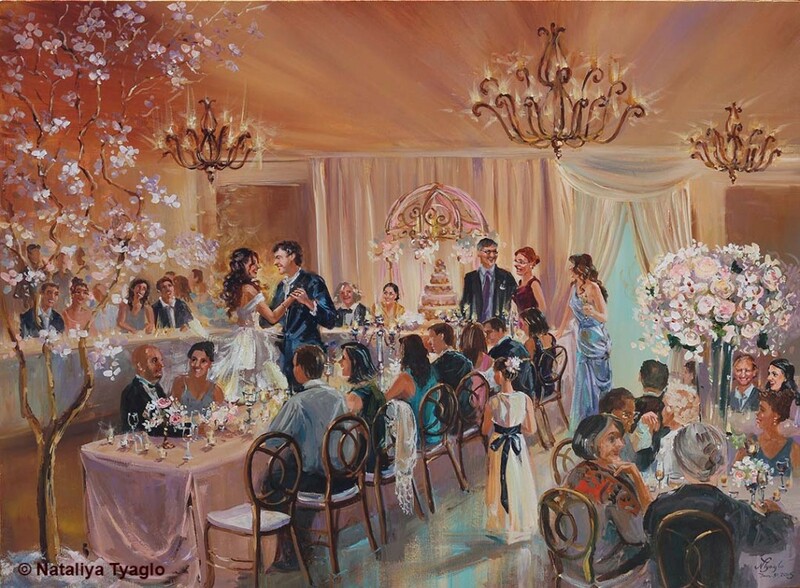 How do I book a Nataliya Tyaglo to create a live painting at my wedding? 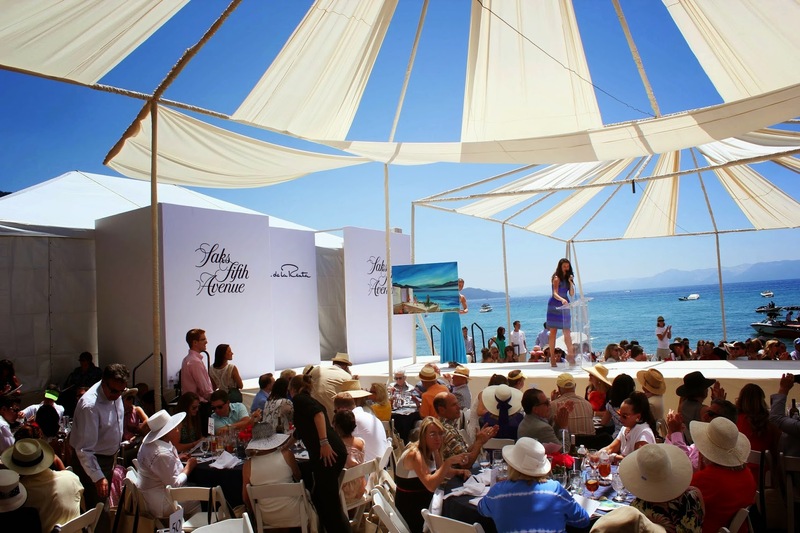 Call 415.972.9637 or email natasfineart@gmail.com to schedule a free consultation to discuss the preferences of your event. 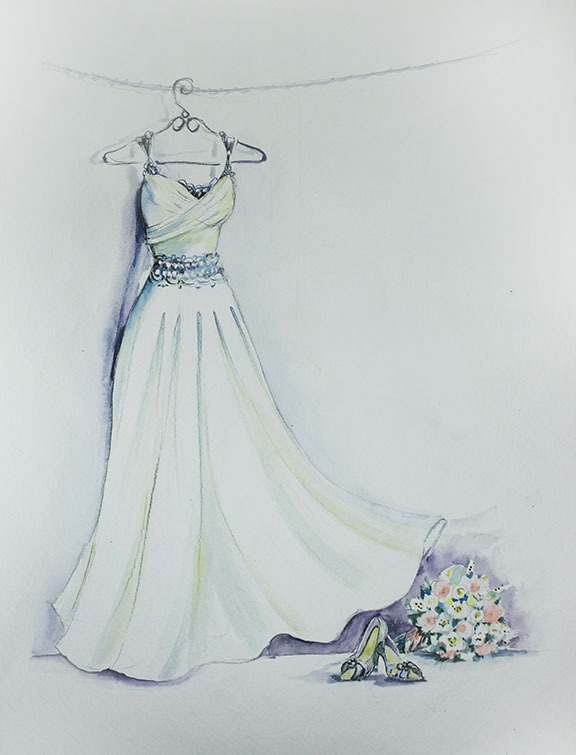 Please note that the free consultation does not obligate you to make a reservation for a wedding live painting. Receive invitations to Nataliya Tyaglo's exhibits and events!